Since January 2019, a new comfort kit, specially created to mark Air France’s 85th anniversary is available onboard Business and Premium Economy cabins until July. 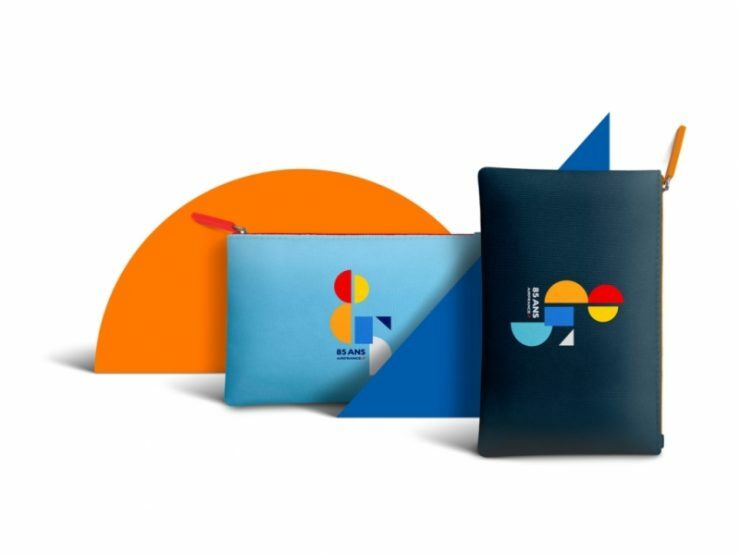 Available in a choice of four models for Business class and two models for Premium Economy class, this new comfort kit sporting a geometric design, flashy colours and an avant-garde spirit is a nod to Air France’s cultural heritage. During their trip, Business customers can also freshen up with the Clarins vitality water and Clarins cleansing water, available on a self-serve basis.